Note: The pram blanket is 74cm x 74cm (approx.) and 100% cotton. If you want to change 'Daddy' in the original design to Mammy, Sister, Grandad or even someones name - just write the text in here. Do nothing if you want to leave it as Daddy! Add a name/date of birth or other text to your blanket! 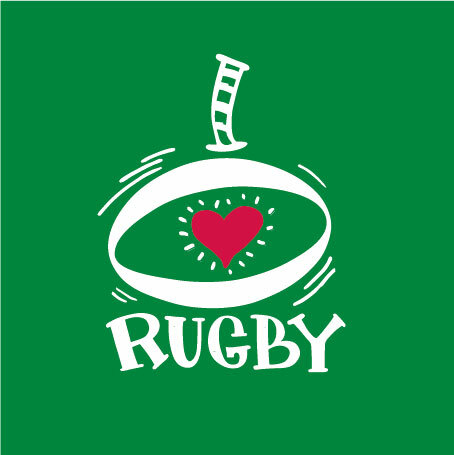 A design from our Rugby World Cup Ireland range. Available in T-Shirts, Babygrows, Hats and Bibs. You can personalise each design with your own text such as baby or kids Name, Date of Birth, Number or any other phrase that would make your purchase unique. 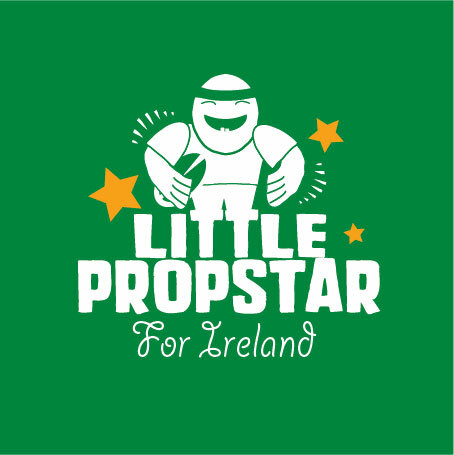 The perfect gift for the little Ireland Rugby fan, boy or girl. 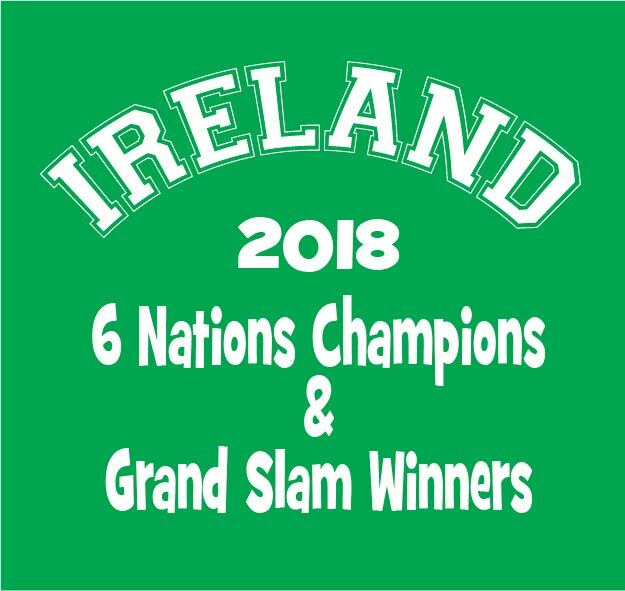 Check out our Ireland Rugby page for more Ireland World Cup Rugby designs. Coolbaby.ie is a unique boutique online business and we endeavour to be as Irish friendly as possible. Each product is designed by Irish designers, individually hand cut and pressed to your specification at Coolbaby.ie in Co. Kilkenny and distributed by An Post. All items are 100% cotton, machine washable at 40 degrees and will retain their shape. Babygrows are long sleeved and have nickel free poppers along the legs. Bibs are double layered and are either velcro fastening or overhead, depending on the colour. Warning: Do not iron over print. We are really interested to hear feedback form our potential customers. We are always delighted to interact with customers and look forward to suggestions, questions or any other way we can be of assistance. We will endeavour to answer any customer queries in as speedy a manner as possible on info@coolbaby.ie. We endeavour to dispatch all purchases within four working days from time of purchase and quicker in most cases. Feel free to contact us if you require an order for a tight deadline, and we will do all we can to assist your request. It makes the perfect rugby gift for boys and girls up to age 16. 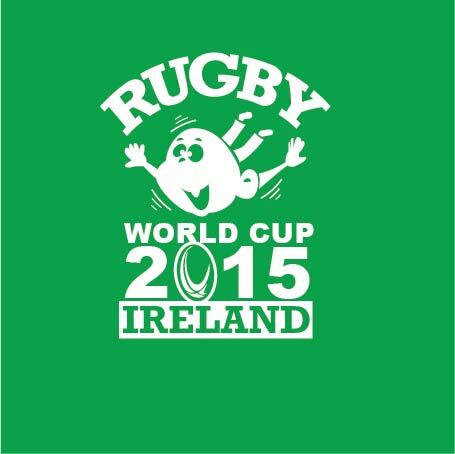 Be the first to review “Rugby World Cup Ireland Babygrow” Click here to cancel reply.